Couples are absolutely spoiled for choices when it comes to choosing a romantic venue for date night in Vancouver. From charming bistros to dimly lit eateries, here is a list of the city’s most romantic restaurants, which provide the ideal setting for when you want to turn on the charm. Embracing a decidedly vintage French look and feel, this charming little Gastown restaurant simply oozes romance, and is the perfect spot for an intimate rendez-vous. Savour the restaurant’s delightful ambience, while enjoying authentic French dishes like escargot, homemade country style pâté, mussels steamed in white wine and garlic, duck leg confit, and even more enticing options. 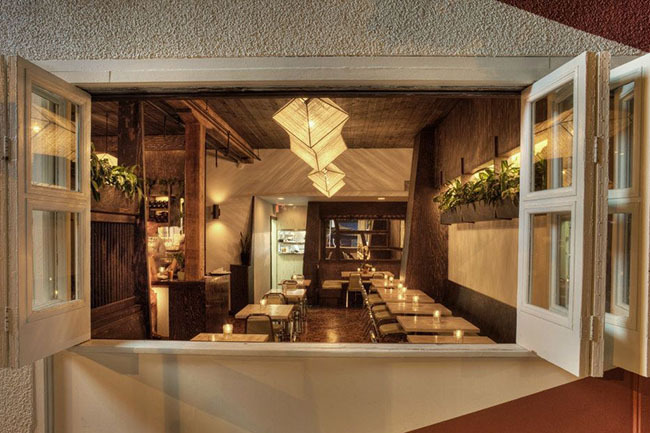 Make a big impression at this small and intimate West Pender restaurant. Known for its delicious modern European cuisine, composed of high quality locally-sourced ingredients, Cinara also boasts a softly illuminated dining room that exudes warmth and coziness. Please the tongue and satisfy the belly at Wildebeest. While meat-centric dishes and creative libations are what the restaurant is famed for, the Gastown locale also offers guests a stylish yet unpretentious setting to dine and drink in. Cozy on up with your loved one at the candle lit bar or at a high top table, either way you’re in for a pleasurable evening of good food and drinks. This intimate, dimly lit champagne and dessert bar is the perfect spot to enjoy an after dinner drink, as well as a decadent treat or two. From the bar, patrons have the choice between champagne cocktails, sweet wines, and spirits to pair with an enticing list of desserts ranging from $10 to $12. Creative and beautifully presented Mosquito’s desserts are like no other. A must-order is Mosquito’s peanut butter and milk chocolate bar, which comes served with caramel popcorn, caramelized banana jam and popcorn gelato. You’d be silly not to consider Chambar for a dinner date destination. With outstanding food, sensational cocktails, beautiful décor, and a sultry atmosphere come the evening, this Beatty Street haunt ticks all the right boxes. Soak up the incredibly chic décor at BlackTail Restaurant and savour a range of well-executed and beautifully presented dishes, including an Heirloom Beet Salad, Salt Spring Island Mussels, B.C. Oysters, Duck & Waffles, 72 Hours Short Rib, and Elk Steak. 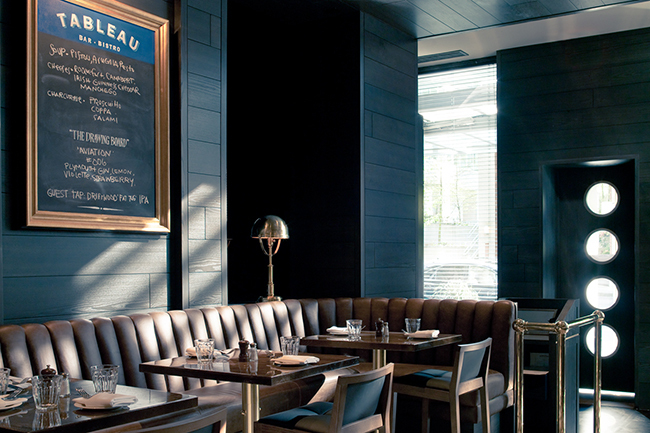 Situated on Melville Street in Coal Harbour, Tableau Bar Bistro is open for dinner nightly. What makes this spot so romantic is its fabulously French-inspired food and décor. The Bistro, which combines old world classic bistro elements simply with modern touches invites diners to sip on wine and tuck into a range of appetizing plates. Located under downtown’s Rosewood Hotel Georgia, Prohibition is an opulent 1920s inspired bar. Dimly lit, this speakeasy-esque venue offers lots of intimate spaces for two. Huddle up to your loved one on the studded couches, while sipping on carefully crafted cocktails, and nibbling on enticing small plates. This sophisticated downtown restaurant might be somewhat of a wallet buster, but it offers a tantalizing menu of high quality, well-executed plates. Patrons who visit this incredibly chic spot can expect to find an array of contemporary Canadian dishes, made from top tier local produce, as well as a thoughtful bar program. 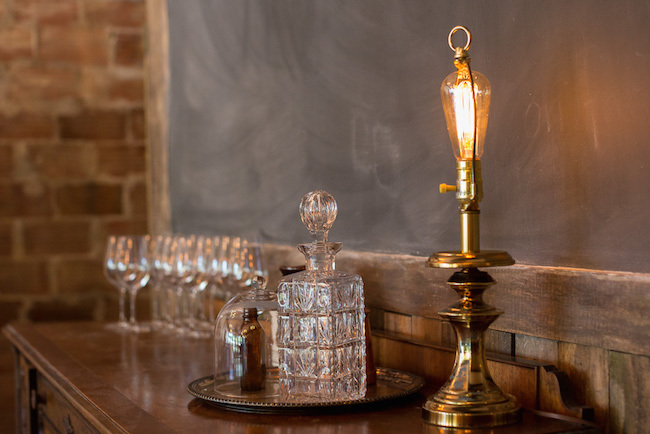 Romance your loved one at this softly lit Gastown establishment. 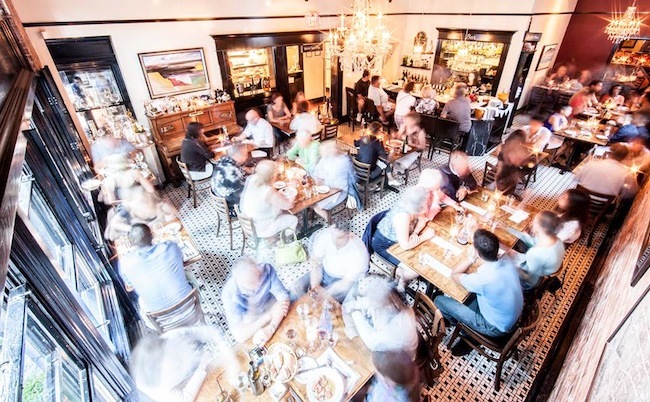 Furnished with antiques from the early 1900s and custom creations, Pourhouse is the ideal place for those searching for a charming spot at which to dine. The menu won’t disappoint either. Enjoy creative cocktails and warming seasonal fare. 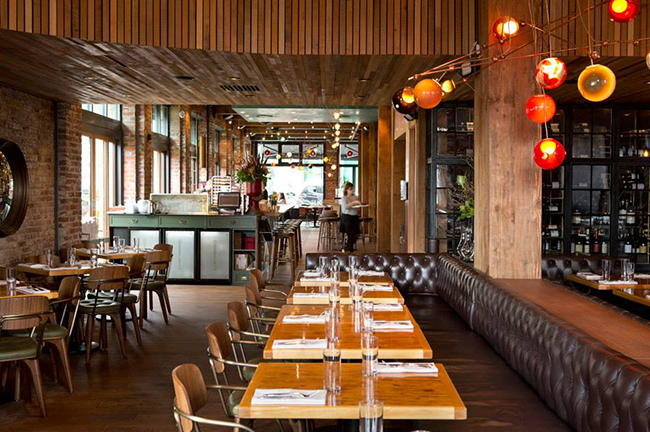 This Gastown seafood-focused restaurant definitely wins in the ambience department. 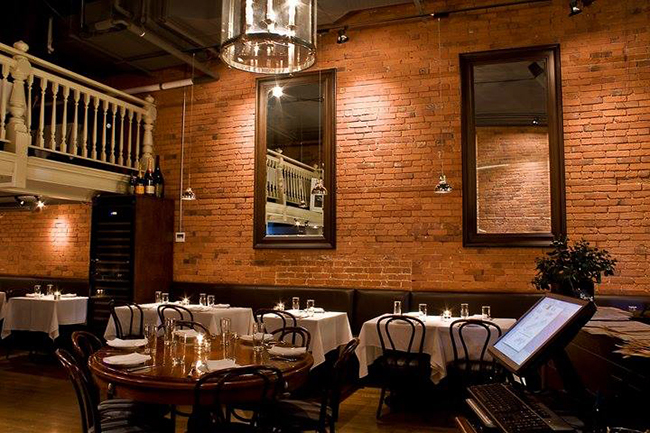 Exposed brick walls, aged wooden accents, white table cloths, and candles make for a seriously romantic time. Brix & Mortar (the amalgamation of Brix and George restaurants) offers two floors of unique dining nooks. Enjoy an upscale nosh on the restaurant’s signature glass-covered courtyard space, or a drink on the renovated outdoor patio, which is illuminated by seven-tier glass chandeliers. Gaze out at over the water at this sleek, modern fine dining restaurant. 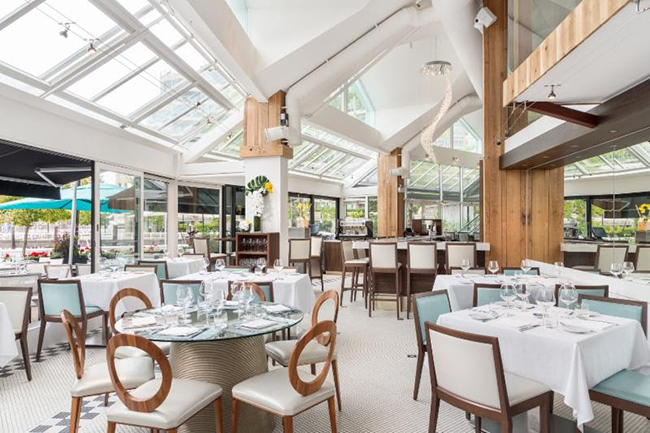 Situated along Vancouver’s False Creek seawall, Ancora offers West Coast sustainable cuisine with Peruvian and Japanese flare, and a carefully curated wine and spirits menu. If dark and sultry is what you’re after, then you can’t go past UVA Wine & Cocktail Bar. Located on the corner of Seymour and Smithe, UVA Bar pours a variety of hand-crafted cocktails in low light. Enjoy a libation or two, as well a range of small bites from the bar’s menu. 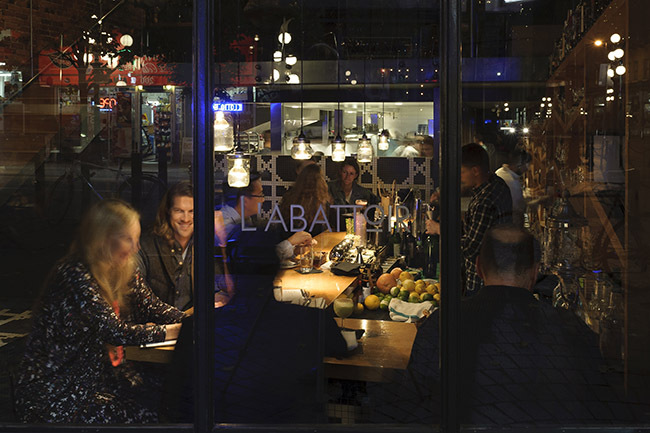 Housed in a refurbished 19th century brick and beam building, L’Abattoir delivers both a memorable setting and an enticing French-influenced menu. Order a couple of cocktails at the bar before settling into seared scallops, a succulent steak, or some other equally tempting dish. 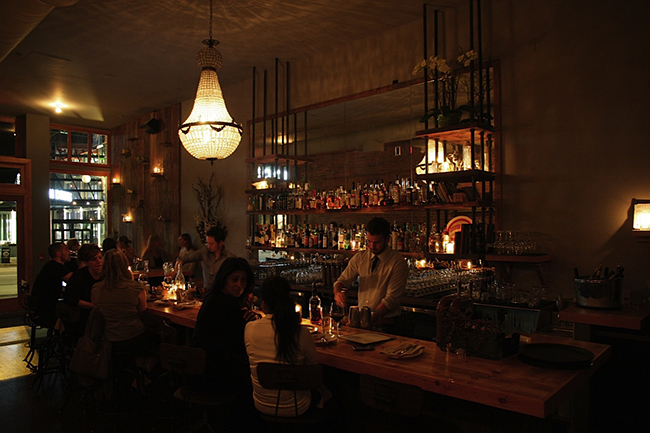 Somewhat of hidden gem, Finch & Barley is a top spot for date night in North Vancouver. Enjoy a quiet during the week drink or a more lively atmosphere come the weekend, when local musicians take to the floor. Located in the West End, this recently opened gastropub has been finished with rustic wooden furnishings and comfortable seating options. 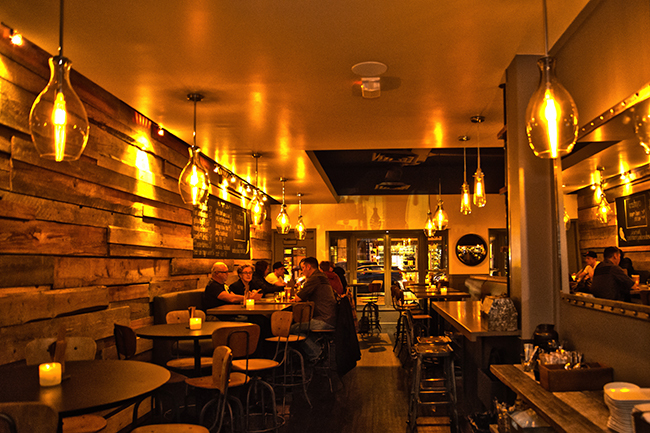 The eatery offers up casual food (plus brews) and shareable plates in a relaxed yet romantic atmosphere. 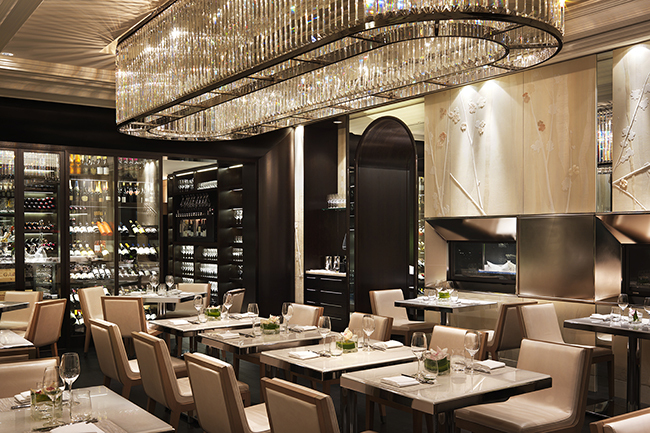 Boasting a sophisticated yet approachable space, Mission, is particularly suited for date night. It addition to its warm ambience, the restaurant serves up a range of beautifully presented dishes, both of the tasting plate and à la carte varieties. This compact, retro-chic casual fine dining restaurant, in Vancouver’s Downtown Eastside, simply exudes a relaxed elegance. Diners can look forward to a chalkboard menu with a few nightly options based on what is fresh and in season. Home to both a gorgeous dining area and well-stocked bar, The Oakwood Canadian Bistro in Kits comes complete with its own fireplace. For those searching for a cozy, intimate spot, to indulge on the spoils served up, The Oakwood is the perfect place to retreat to. One of Vancouver’s well-loved vegetarian restaurants also offers a gorgeous setting to dine in. Come the evening the restaurant flickers in candle lit, and serves up some seriously tasty food, as well as expertly made cocktails.